Dr. Wei Jing Loo’s path to London, Ontario, stretched from her native Malaysia through Australia and the United Kingdom before the Royal College-certified dermatologist established her practice in historic Hyde Park United Church in London. At her unique cosmetic and medical dermatology practice, Dr. Loo combines her skill and engaging personality with a passion for art and aesthetics. Dr. Loo has earned the trust of patients who value her insight, vision, and personalized care. Patients looking for a skilled dermatologist come from Chatham-Kent and Sarnia to have Dr. Loo treat them. She creates a skin care treatment plan designed to meet each person’s unique clinical concerns and cosmetic goals. 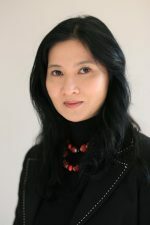 Dr. Wei Jing Loo is an adjunct professor at Western University in London, Ontario. She completed medical school in 1997 with an honours degree from the University of New South Wales in Sydney, Australia. She trained in Internal Medicine and obtained membership in the Royal College of Physicians in the United Kingdom in 1999. She completed her dermatology residency training in Cambridge, United Kingdom and obtained her Certificate of Specialist Training in Dermatology in 2005. She is board certified in Canada and a fellow of the Royal College of Physicians and Surgeons of Canada. Dr. Loo is at the forefront of the dynamic field of dermatology, serving as an associate investigator for Probity Medical Research, a Waterloo, Ontario, company that supports ongoing clinical research. In addition to being the owner and medical director of DermEffects, Dr. Loo is also an adjunct professor at Western University in Ontario, where she teaches medical students. Dr. Loo initially wanted to pursue plastic surgery as a specialty, but changed her mind after meeting a “most wonderful person” who became an influential mentor. Dermatology offered the “best of both worlds,” says Dr. Loo, combining the aesthetic portion of plastic surgery with the opportunity to treat a wide spectrum of patients ranging from teenagers with acne to seniors with age-related skin conditions. “Dermatology is an exciting and interesting specialty that’s always evolving,” Dr. Loo says. “It combines my love of art and science through cosmetic and medical dermatology.” She also combines her passion for art and her talent as an artist with her commitment to charity, donating works to benefit various organizations. 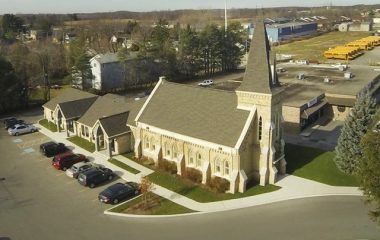 When Hyde Park United Church closed, many wanted to raze the building and redevelop the property. Dr. Loo saw the potential in saving the beautiful, solidly constructed building located on busy Hyde Park Road in a growing area of London. She purchased the church, promising not to demolish the historic structure, and renovated it to house DermEffects. “I value architecture and preservation of old buildings,” Dr. Loo says. Materials were repurposed during the renovation or offered to Habitat for Humanity, which used windows and the interior staircase, bannister, and landing. DermEffects is located at the rear of the old Hyde Park United Church. To meet Dr. Loo and learn more about DermEffects and the dermatology services offered, request a consultation using the online form, or call our office at (519) 472-8686 to schedule an appointment.